The Honourable Sir Peter Cosgrove was born in Sydney in 1947. The son of a soldier, he attended Waverley College in Sydney and graduated in 1968 from the Royal Military College, Duntroon. He came to national attention in 1999 when, as Commander of the International Task Force East Timor (INTERFET), he was responsible for overseeing that country’s transition to independence. For his leadership in this role he was promoted to Companion in the Military Division of the Order of Australia (AC). Promoted to Lieutenant General, he was appointed Chief of Army in 2000. After further promotion to General, he served as Chief of the Defence Force from 2002-2005. He retired from the Australian Defence Force in 2005. On 28 March 2014, he was sworn in as Australia’s 26th Governor-General, at the same time becoming a Knight in the Order of Australia as announced by Prime Minister Tony Abbott days earlier. In 2009 he gave the Boyer Lectures series, “A Very Australian Conversation”. His autobiography “My Story” was published in 2006. He was named Australian of the Year in 2001. Before Parliament Harry worked in the Commonwealth Public Service. He was a Shire of Whittlesea Councillor between 1979 and 1986, with one term as Shire President. A Commonwealth Scholarship winner, Harry completed a Science degree at ANU in an innovative, at the time, Human Science program; the course emphasised the importance of using holistic approaches across academic disciplines in the development of public policy. Harry was a member of numerous parliamentary committees across a wide range of portfolio areas; including over twenty years on the House Environment committee, and was the inaugural Chair of the Parliamentary Joint Committee on Human Rights. As a leader and member of parliamentary delegations Harry participated in important global fora such as the Inter-Parliamentary Union (IPU) assemblies, Commonwealth Parliamentary Association (CPA), G20 Seoul Speakers' Consultation, and Asia Pacific Parliamentary Forum (APPF). Since retirement Harry has been involved with projects in the Asia Pacific region with the UNDP, UN Women, and as a consultant to the Pacific Women’s Parliamentary Partnerships Forum (PWPPF). He was a member of the Multinational Observer Group for the 2014 General Election in Fiji. Whilst not content in retirement with just watching grass grow, Harry is determined to establish himself as a responsible grandparent. Jennifer is a Director in Governance Branch at the Department of Premier and Cabinet (Victoria), and holds a Masters Degree of Philosophy in Politics from the University of Cambridge. She completed Bachelor of Laws (Honours) and a Bachelor of Arts (Honours) at the University of Western Australia. Jen was previously a Principal Legal Adviser at the Department of Premier and Cabinet and a senior associate in the dispute resolution group of King & Wood Mallesons. While at UWA, Jennifer was awarded the Patrick O’Brien Graduate Internship Scholarship which she used to complete an internship and research in Washington DC for her Politics Honours dissertation. David is a Financial Accountant at an ASX listed company called the DUET Group, which specialises in infrastructure investment in the energy and utilities sector. Prior to this he worked at several chartered accounting firms assisting clients in multiple industries with their taxation & business advisory needs, including the non-for-profit sector. He completed his Bachelor of Commerce (Accounting) at the University of Queensland and was involved in many clubs and societies while there. David is also a Provisional Member of the Institute of Chartered Accountants and is based in Sydney. Varun is a Senior Associate in the dispute resolution team of King & Wood Mallesons in Perth. He holds degrees in law and arts from the University of Western Australia and a Masters of Law from the University of Cambridge, where he studied on a Commonwealth Scholarship. Varun was previously a Consultant at the World Bank in Washington D.C., where he worked on insolvency law reform and financial sector policy. He also held an Associate role at White & Case LLP in New York. He enjoys writing and the theatre and is also an enthusiastic, if amateur, cricketer and hockey player. Dhanush joined Global Voices in November 2017 with a passion to provide transformational opportunities to develop the global leadership of young Australians. He is an experienced finance professional and is currently the Chief Financial Officer, Executive Director and Company Secretary of The Oaktree Foundation and a Non-Executive Director of Cire Services. Prior to Oaktree, he worked as a Tax Consultant at Ernst and Young whilst studying a Bachelors of Commerce at The University of Melbourne. Dhanush is currently studying for an Executive Education Certificate in Social Entrepreneurship at the Stanford Graduate School of Business. Alix is the Director of the Cities Power Partnership for the Climate Council, the biggest climate program for local government in the country. 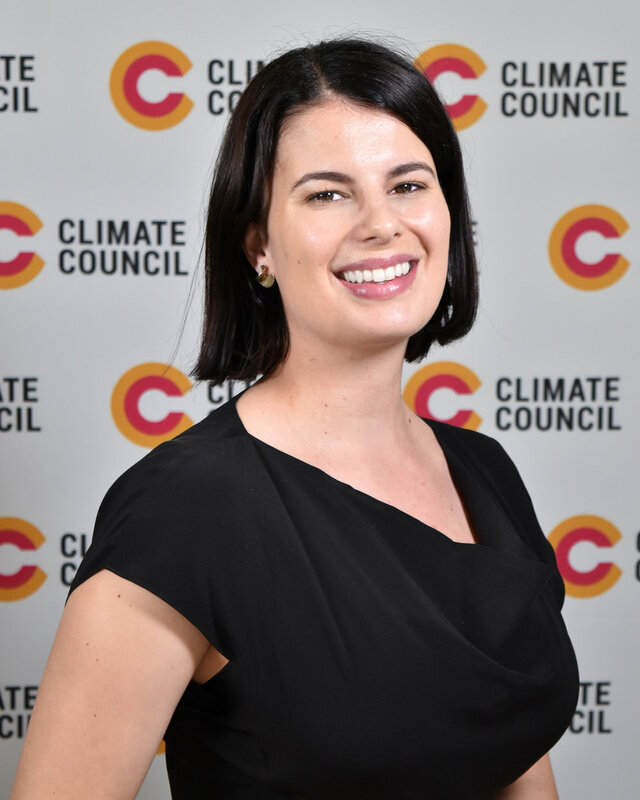 Prior to that Alix was the strategic projects manager at the Climate Council, leading projects in climate change and renewable energy that have generated millions of dollars worth of media, reaching over 350 million people and engaging hundreds of stakeholders and decision makers. This included spearheading Australia’s first climate security summit, involving international and Australian security leaders. Formerly a researcher at the Climate Council and the University of Sydney, she has co-written dozens of reports on climate change impacts and solutions with some of Australia's premier scientists. Prior to joining ACU, Ashley served as Deputy Chief of Staff to then federal minister The Hon Chris Bowen MP and as Senior Adviser to then Attorney-General The Hon Mark Dreyfus QC MP. He has also worked as a journalist at The Australian Financial Review and as a lawyer at Allens. Ashley has undergraduate degrees in Law (Hons) and Arts (Political Science) from the University of Melbourne and a master’s degree in International Relations from the University of Nottingham in the United Kingdom. Ashley is an incorrigible Essendon supporter and a cricket tragic, having watched the Australian cricket team from behind the picket fence at Edgbaston and in front of Table Mountain at Newlands. Elizabeth is a passionate engagement leader who has worked for over twenty years for equal access to economic opportunities and a fairer, more sustainable society. Working at both the international and local level, she has brokered partnerships, led projects, conducted research, shaped policy and mobilised action for sustainable social and economic development. She has extensive experience in Latin America and the Caribbean. Her speciality is working across sectors and building multi-partner collaborations; she amplifies impact with strategic use of communication mediums and new tools and resources. Elizabeth’s professional experience includes Deputy Director of the United Nations Global Compact – Cities Programme - seven years working with city and regional governments, United Nations agencies, private sector and civil society to advance sustainable development in cities; Research Coordinator for the Equity Research Centre - an advisory body to the Victorian State government; Engagement Manager (Global Business Development) with RMIT University; and Industry Engagement Manager Northern Workplace Network (Melbourne). Elizabeth leads an international consultancy, Urban Vitality and holds a Global Advisor role with the UN Global Compact - Cities Programme. Tom is a Principal at Boston Consulting Group. Tom is a core member of BCG's Public Sector Practice Area, and has worked with senior leadership of large organizations in the public, private and not-for-profit sectors to manage change and develop strategic direction. He focuses on economic development, infrastructure, justice and human services. Prior to joining BCG, Tom worked as a consultant for the World Bank and for the International Monetary Fund. Tom holds a Ph.D. in Economics from Harvard University, where he was a Frank Knox Memorial Scholar, and a Bachelor of Laws and a Bachelor of Economics from the University of Queensland. Elizabeth is a Policy Officer and Negotiator with the Department of Foreign Affairs and Trade. She is a senior member of Australia's Delegation to the United Framework Convention on Climate Change and works on addressing climate change through the Australian Aid program. She is an expert in carbon markets, renewables and energy policy after developing and implementing policy in several federal government agencies. Elizabeth also has non-government experience leading teams at UN climate negotiations and has mentored several students and young professionals.